Gold is so valuable it is called a precious metal. What nation has the most of it? Is there an area of nations with more? Will gold last longer than the USA dollar? 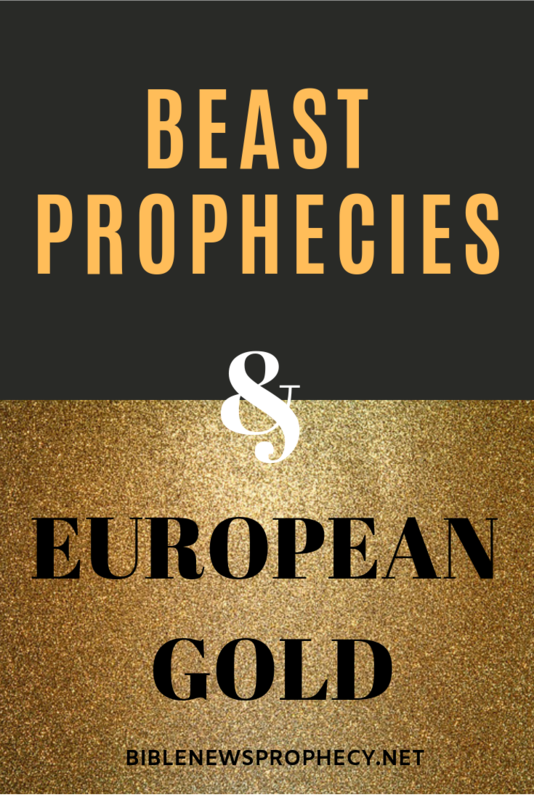 Are there properties about the Beast and/or the Antichrist in the Bible that show that the European Babylonian Beast power will amass gold during the time of the Great Tribulation? Are there Eastern Orthodox prophecies that look forward to this? Are there biblical and Roman Catholic prophecies that warn against this? Are European central banks already accumulating gold? Did Swiss America state that some central banks are leaning towards a gold standard? Might the coming King of the North accumulate gold to use to help shore up his currency after the demise of the US dollar? Dr. Thiel addresses these issues and more. Newer PostAmphibian Apocalypse: Threat to Humans? Older PostMust Christians use 'Sacred Names'?